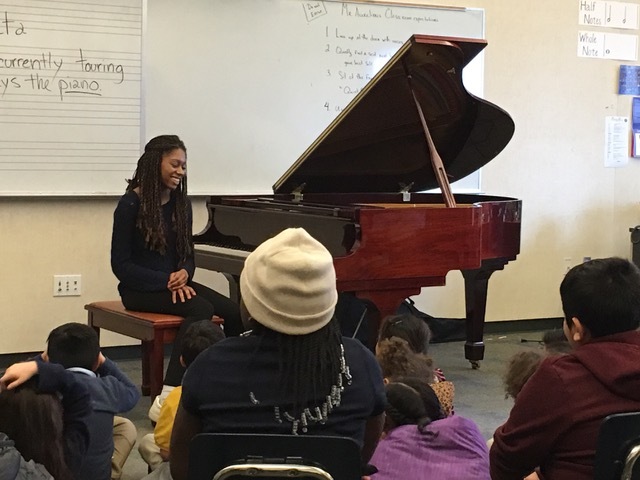 Our Rising Star Isata Kanneh-Mason recently gave a several performances in Portland and inspired so many children in particular. 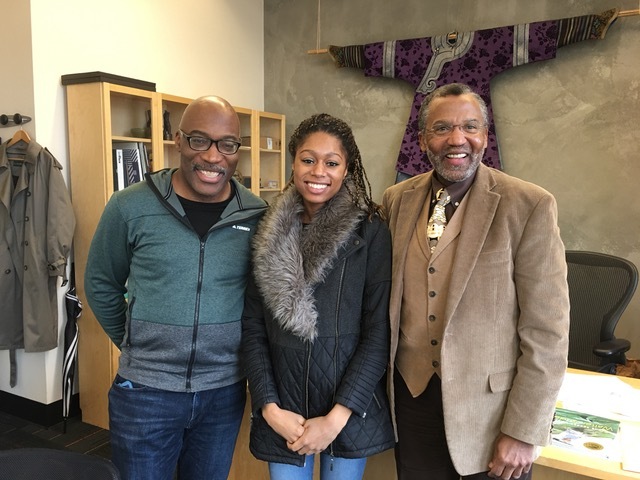 Katherine Schultz, a brilliant cellist and teacher, recounted this incredible reaction from a child who heard Isata perform Darrell Grant's new composition, Darker Angels. Here's a collection of photos from Isata's time with us in Portland! 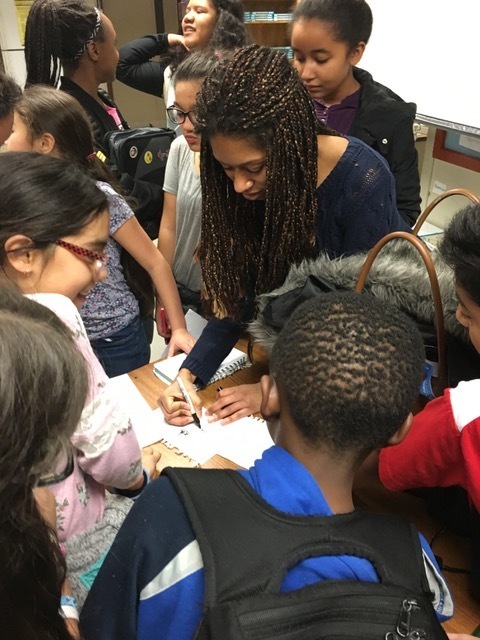 Isata talks to the BRAVO students at Rosa Parks Elementary school. BRAVO Orchestra students from Cesar Chavez School getting Isata’s autograph. 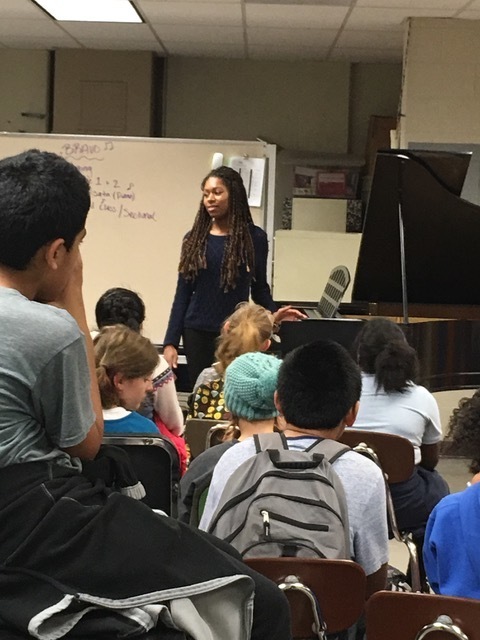 Isata speaks and plays at Cesar Chavez School. 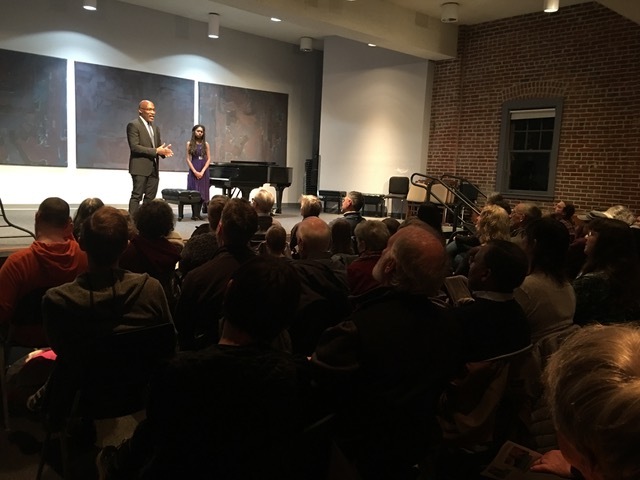 Darrell Grant introduces his new piece at Isata’s performance at the Community Music Center.